If we imagine the future of Islam today, perhaps it may not look the same as the future of Islam foreseen by the early generations of the first Muslims. The early generation of the first Muslims under the guidance of the Prophet, became liberated and victorious by forming a thriving society in Medina. And two centuries after the death of Prophet Muhammad, Islam flourished as one of the great civilizations, a cultured society and kingdoms where science and philosophy blossomed and their thinkers became authoritative references to neighbouring regions including Europe. But this success was short lived. This was perhaps initially due to the defeat of the People of Reason(the Mu’tazilites and philosophers) by the People of Traditions(the Asha’irites). The initial blow was perhaps by the most prominent Muslim theologian, al-Asha’ari, and later then the coup de grâce by al-Ghazali that had closed the door of philosophy and science on the Muslim land; to be followed by the colonization of Muslim land and the subjugation of the Muslims in later years. The Muslims of today inherited this dilemma of how they should look into their religion, into his world, and even into his understanding of God; as a pure will with radical volunteerism and occasionalism; or as an established fatalistic doctrine of Islam aftermath. How reason was demoted, why the lack of creative and independent thinking, why modern concepts such as freedom, democracy, and rights are aliens to the Muslims of today. This is the challenge of Muslims today, the battle of ideas between the warring ideological factions within Islam that would shape the world of Islam of tomorrow. Apart from the competing ideas, they are also faced with the rapid globalisation and issues that were not envisaged by the early Muslims. Thus, this would bring us to the important question on the future of Islam, and how do we visualize the future of Muslims to be. YB Saari Sungib is the Selangor State Assembly Member of the 2018-2022 session for the N18 Hulu Kelang state constituency from the National Amanah Party (AMANAH). In the AMANAH party, he is the Chief of the AMANAH Gombak, the Deputy Chairman of Selangor State Government and the Head of the Da’wah Bureau of AMANAH since 2015. Before joined politics, he was a prominent da’wah figure and also a freedom fighter in Malaysia. He led Jamaah Islah Malaysia (JIM), a da’wah, social, and political movement, as president from 1990 to 1999. He was awarded a special award by Amnesty International in 2001 for his contribution in defending human rights. From 1986 to present, he has written over 30 books covering the issue of da’wah, societal reform and human rights. Professor Clive S. Kessler is now Emeritus Professor of Sociology & Anthropology at the University of New South Wales, Sydney Australia, where he held a professorial position from 1980 to 2004. Before that he held academic positions at LSE and Barnard College, Columbia University, New York. He has been studying Malay culture, society, politics and religion since the mid-1960s. He also writes about multiculturalism, religion and democratic theory. He is especially interested in the divergent evolutionary development (doctrinal, political and social) of the three forms of Abrahamic ethical-prophetic monotheism (Judaism, Christianity and Islam), in the long-term patterns of historical interrelations between the three civilizations born within these faith communities, and with the way and extent to which those intercivilizational dynamics have provided the contours of much of world history. His more general work centres on the question of modernity and its varying cultural forms and diverse civilizational expressions. He has held visiting positions at and maintains close connections with several Malaysian universities. His contributions to scholarship have been recognized in his election as a Fellow of the Academy of the Social Sciences in Australia. Prof Jeffrey Kenney is a Professor of Religious Studies at Depauw University, Indiana, US. He is an expert on Religious discourse, Comparative religion, Modern Islam, Islamism, Religion and politics in the Muslim world, Radical religious groups in the Middle East. 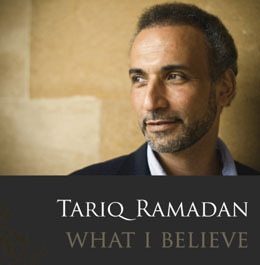 His areas of special interest and study are Modern Islam in Egypt, religious interpretations in modern contexts, ways religion interacts with secularization, and how people talk about Islam in contexts that don’t seem to be religious (i.e., using Islam to facilitate something else). Kenney is author of books about militant Islamism in Egypt, and religion-state relations in Egypt. Following a 2012-13 Fulbright award to do research in Malaysia, he is writing a book about teaching comparative religion in Malaysia.